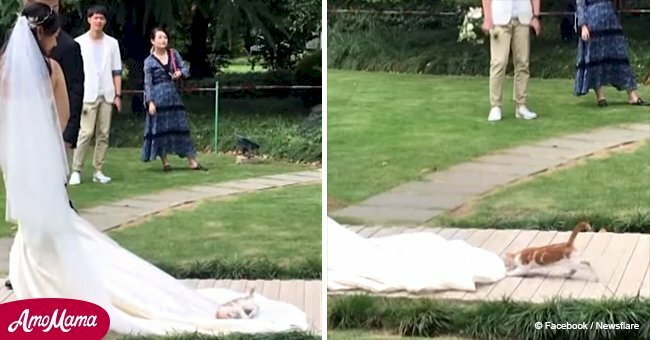 The cringe-worthy moment a woman in China reportedly gatecrashed her ex-boyfriend's wedding wearing a bridal gown. 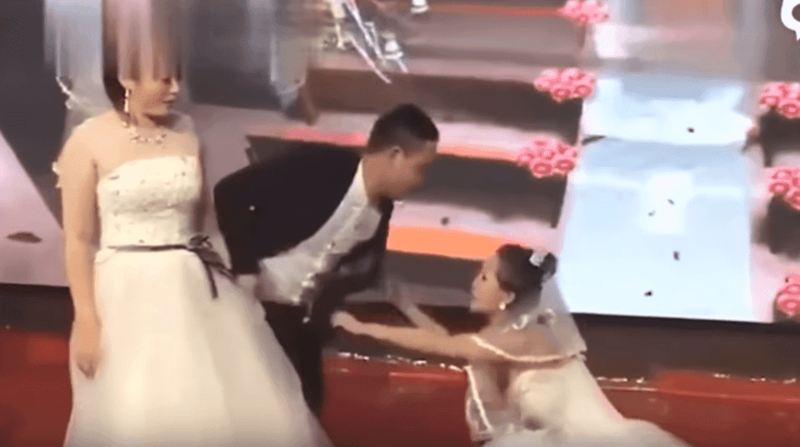 In a viral video, the emotional woman can be seen getting down on her knees and yelling "it was my fault" as his bride looks on in confusion. "If you ask life what love is, it is to devote your life to someone else." 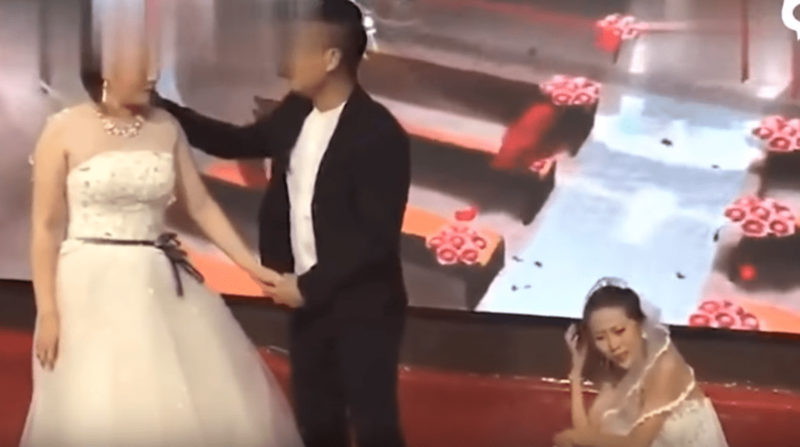 As reported by Daily Mail, the ex-lover burst in during a wedding ceremony in China recently just as the groom and bride were going to kiss on stage. 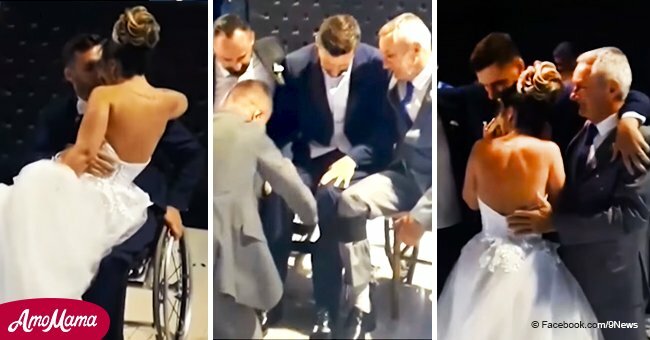 The woman continually pulls the groom's suit jacket while begging him for forgiveness and requesting another opportunity. However, the groom isn't impressed and keeps pulling away. 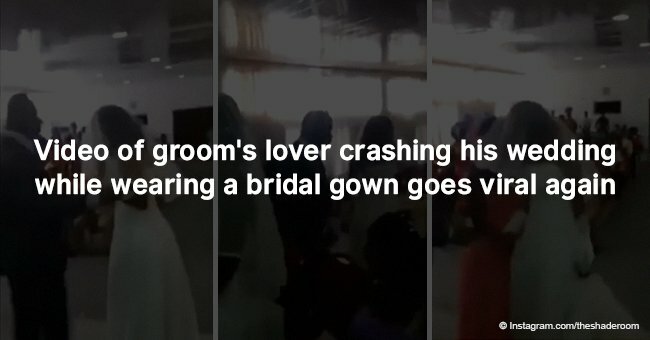 The 30-second video then shows the wedding crasher sits on the floor with her hands in her face. 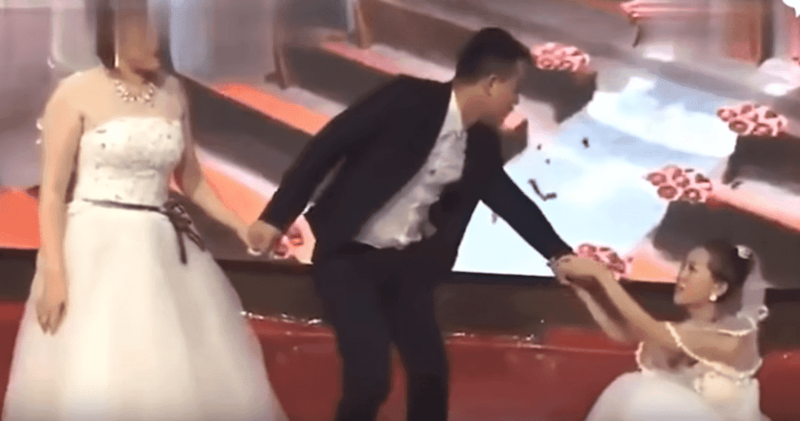 As the embarrassing event unfolded, the groom tried to comfort his bride, but the woman's behavior provoked the real bride to walked off in annoyance. The man of the hour at that point went after his bride, leaving his ex-partner crying. At a certain point, the master of ceremonies can be heard saying "we have an unexpected situation here." He then adds: "If you ask life what love is, it is to devote your life to someone else." According to Star Video, the groom broke up with his ex because they had different personalities. Reportedly, the actual bride and her family were shocked at the love rival’s appearance. The video was first shared online by an entertainment blogger and has since been shared widely on Weibo, the country’s version of Twitter. A lot of users have stated their support for the bride and rebuked the absurd ex. One person wrote: “Do not destroy other’s relationship to satisfy your own obsession." “This is exactly why you can’t be friends with an ex,” added another. “This is more than inappropriate. From the stand point of the bride, how could the wedding carry on?” a third user commented. 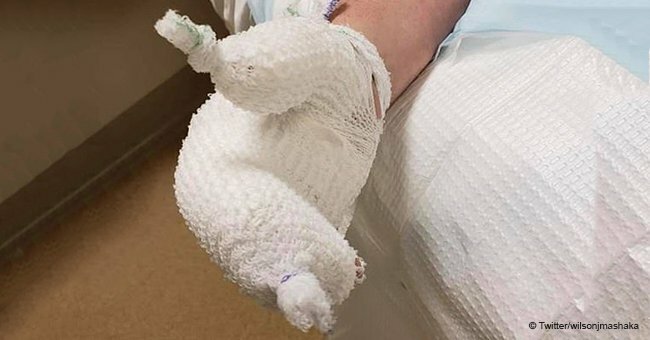 This bride is not the only one to have her big day ruined by a wedding crasher — the same thing happened at a wedding in Africa recently.